What is the Emergency Assistance Payment? If you have received an eviction notice for non-payment of rent and cannot pay your rent due to an “emergency situation” in the past 90 days, WAHC may be able to help in preventing you from being evicted by providing a one-time rental payment. You must have documentation showing the date your emergency situation occurred and the out of pocket costs associated with the emergency. How do I apply for the Homeless Prevention Program? Go to wahc.info and locate the Homeless Prevention Program page. Under “How to Apply” you will find a link to download a PDF application. You must completely fill out the application leaving no blanks. Gather the required documentation as detailed in the application (ID, eviction notice, proof of income, bank statements, etc.). Call WAHC at 775-334-3199 to schedule an appointment to submit your application and supporting documentation. 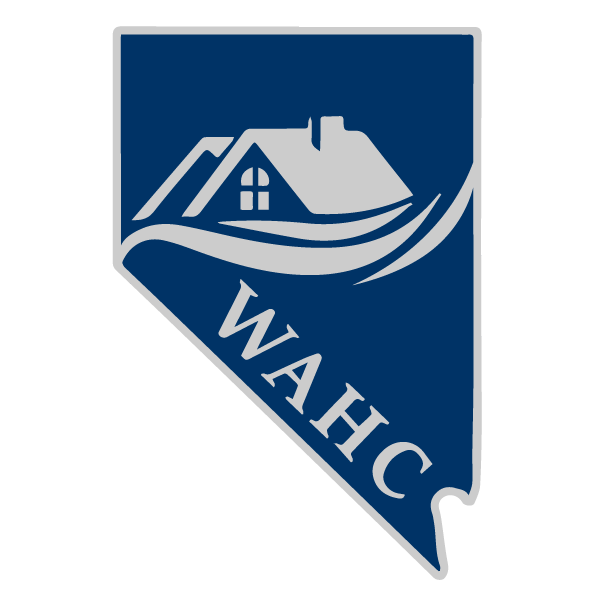 WAHC does not take walk-in appointments. A WAHC staff member will review your application and supporting documentation and request you to sign additional forms relating to our program. If you are missing any required documentation, you will be given a list to take with you and be required to submit the missing items within 10 calendar days. What do I need to provide if I have a debit card such as a Direct Express Card? If you receive Social Security, unemployment, employment, child support, or other income on a debit card, WAHC must verify the current balance on your debit card. Typically, you may obtain a printout showing your balance from an ATM, or login to an online account to print out a statement. How long does WAHC take to process my application? The most important step is for you to provide WAHC all of the documentation we require. Once we have a complete application packet we typically are able to determine your eligibility within one business day. Please understand this may take longer depending on the situation. WAHC issues a check directly to your landlord. Your landlord must be willing to accept payment from WAHC to resolve the eviction. What is the Financial Guidance Center? The Financial Guidance Center provides financial resources. If you are approved for WAHC’s assistance, you are required to complete a financial counseling session with a Financial Guidance Center representative. They will help you create a monthly budget, a debt management plan, and provide you referrals to other community resources that may help you in your financial journey. How much is WAHC able to pay? The total balance due to the landlord cannot exceed $1,500. If the balance is more than $1,500, you must demonstrate that a payment has been made to the landlord to bring the balance below $1,500.